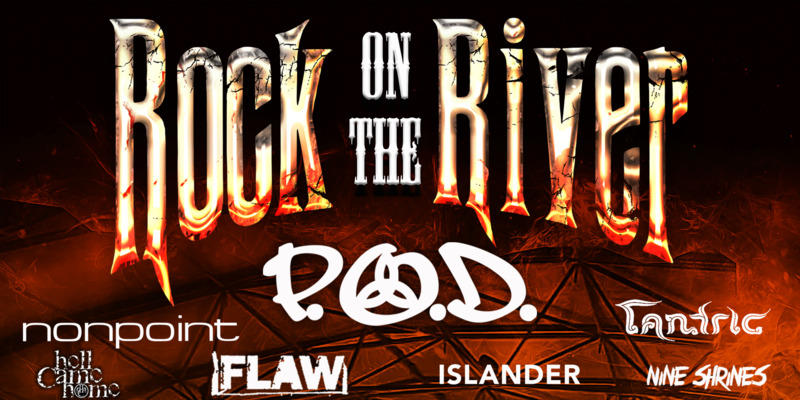 Get to Rock on the River at Headwaters Park on Saturday, May 11th from 4:00p – 12:00am. ROTR features P.O.D., Nonpoint, Tantric, FLAW, Islander, Nine Shrines, HELL CAME HOME and Blood From A Stone from 4pm-12am (still to be announced) performing live on the Peter Franklin Jewelers stage during the 3rd day of the Fort Wayne Music Festival powered by Sweetwater! Get to Rock on the River at Headwaters Saturday, May 12th from 4: 00p – 12: 00a featuring SEVENDUST, The Word Alive, Hell Came Home and The Kicksbacks with 3 more national and 1 more incredible regional bands performing live on the Peter Franklin Jewelers stage during the 3rd day of the Fort Wayne Music Festival powered by Sweetwater! WHAT TYPE OF MUSIC WILL THE DJS PLAY? Bands & a DJ between performances will play a mixture of different genres of rock music. CAN I BUY TICKETS WITH CASH INSTEAD OF CREDIT CARDS? B uy tickets with CASH at Grade A Tattoo. What are my transport / parking options getting to the event? PARKING ON STREET, Parking lot and AROUND venue. How do I get or use my tickets that I purchased? Once you purchase tickets, they will be emailed to your email used in purchasing process. If you do not see your tickets check your spam folder before contacting organizer. Do I need to print out my ticket? And it is. Please print your tickets out before coming to the event. Most people print their tickets the day before or day of event. I want to come to the concert but I have class in the Am / or before it starts..What do I do? You are able to come to the concert even if you are not there when you open (unless sold out). Concert portion will start about 30 minutes after doors open. Feel free to stay or leave after performances. The name on the registration / ticket does not match the attendee. Is that okay? Ticket does NOT have to match name on ticket attendee if tickets were PURCHASED ! If you have received any kind of discounted or FREE ticket . NAME MUST MATCH ID AT THE DOOR! We have the right to deny entry! There will be no refunds once tickets are purchased. The purpose of the Fort Wayne Music Festival is to highlight the cities' rich musical tradition and the talent of the regional artist. The 3-day FWMF event features local performers side by side with nationally renowned musicians from various genres. As natives of Fort Wayne, we strive to make our city a regional destination. We understand that it's our responsibility to bring the community exciting vibrant and engaging entertainment. Each year the Fort Wayne Music Festival does its best to expand in size and scope, attract top tier national acts and give local musicians the opportunity to perform in front of thousands right here in Fort Wayne, IN.